List, list, list – who doesn’t like to make lists? Especially the lists of your favorites, where you basically regurgitate something familiar, and you can happily stumble on each and every entry, basking in the happy memories for a moment or three. Yep. That’s the wine list I’m talking about, people. Nope, not the restaurant wine list (that one more often than not is only a source of frustration) – the list of your favorite wines it is. A short while ago, I was asked by one of the readers for some Spanish wine recommendations. Spanish wines as a group are probably my most favorite, so I happily engaged in the e-mail conversations. After few e-mail exchanges, I got the idea – how about I would simply create a list – a list of Spanish wines I would gladly recommend? Yep, I liked the idea, hence the post which I’m presenting to you. Before we start, let me clarify a few things. First, I will split this list into the 3 parts – wines under $20, wines from $20 to $50, and the last one will be from $50 onward, with no limitations – no, Spanish wines can’t really compete with Petrus or DRC, but there are some wines there which would clearly require an expense account or lots and lots of passion. Another important note is that I will bring to your attention particular wines from the particular wineries – but for the most cases, without specifying the particular vintages – I tried absolute majority of recommended wines throughout the years, and wines had been always consistent, hence they are on the list. Ahh, and one more thing – I will not be trying to make balanced recommendation – the wines will be heavily skewed towards the reds – sorry about it. Okay, let’s get to it. While I promised to focus on the reds, I have a few perennial favorites among Spanish whites which I have to mention. Bodegas La Cana Albariño – the wine is more round than a typical Albariño, with lesser acidity, but it is nevertheless delicious. Typically around $15. Bodegas LAN Rioja – one of the best values in Rioja, typically at $12 or less. Consistent, round, balanced. Not going to blow your mind – but not going to disappoint either. A perfect party wine too – often available in magnums. CVNE Vina Real Rioja Crianza – outstanding introductory level Rioja from one of the best Rioja producers. Once you try it, you wouldn’t want to drink anything else. Typically around $15. Grupo Olarra Bodegas Ondarre Reserva Rioja – soft and round, with nice brightness and acidity. A great introduction into the Rioja wines. Around $15. Bodegas Emilio Moro Ribera del Duero DO – Ribera del Duero is a source of powerful, clean 100% Tempranillo wines – but there are practically none available for under $20. Emilio Moro is a happy exception at around $18. Layered wine with broad shoulders. Great introduction into the Ribera del Duero region. Viña Mayor Reserva Ribera del Duero DO – another excellent Tempranillo rendition from Ribera del Duero – dark, concentrated and polished. Can be found under $20. Bodegas Ochoa Tempranillo Crianza Navarra – Tempranillo is the most planted red grape in Spain, so of course the wines are made everywhere. This wine is an excellent rendition of Tempranillo – round, polished, with nice fruit and traditional tobacco notes. Around $16. Bodegas Volver Volver Red Wine DO La Mancha – another Tempranillo rendition, this one simply bursting with raw power. Powerful, brooding, very muscular wine – which is a great pleasure to drink at the same time. Around $16. Here comes another darling of the Spanish red wine grapes – Garnacha, a.k.a. Grenache in the rest of the world. Bodegas Borsao Tres Picos Garnacha DO Campo de Borja – one of the best red wines you can buy overall for $12. Simple and delicious. Alvaro Palacios Camins del Priorat, Priorat DOCa – okay, this is a Garnacha blend, but considering that this wine comes from Priorat, one of the most exclusive winemaking regions in Spain, you should hardly complain. An excellent introduction into the region – dialed back red fruit and mineral complexity. Around $15. And the last from the best known traditional Spanish varietals – Monastrell, a.k.a. Mourevdre in the rest of the world. Bodegas Luzón Luzón Red Wine, DO Jumilla – simple, fruity, approachable, and nicely balanced. Almost an exception in this list at about $10. Bodegas Carchelo Carchelo “C” Red Wine, DO Jumilla – a blend of Monastrell, Tempranillo and Cabernet Sauvignon. After my first encounter with this wine I coined the term “dangerous wine” (or at least I think this was the wine) – what makes this wine dangerous is the fact that after the very first sip you can’t stop until the bottle is empty. Perfect balance of fruit and power. Around $15. Torres Atrium Merlot, Penedes – as a fun fact, did you know that Torres is the biggest wine producer in Spain? Well, this might not be a fair recommendation, but still. I had this wine only once, but it was extremely memorable. The recommendation might be not fair as I’m not sure you can get it in the store – in Connecticut, it reserved for the restaurants only. I had it in Florida in a restaurant for $26, and if you will be able to buy it in the store, it would be around $12. If you can find it anywhere – go for it, as the wine is simply stunning, with or without taking the price into account. Before we part, one more note. Outside of well-known grape varieties, such as Tempranillo, Garnacha and Monastrell, don’t be afraid to take the risk with lesser known Spanish varietals in the under $20 range. Look for the white wines made from Godello, or the reds made from Mencia, Bobal, Trepat and the others – there is a good chance you will not be disappointed. And we are done! I was not trying to give you a comprehensive list – theses are all my favorites, you can just print this post and go to your local wine store, if you feel inclined, and then we can compare notes. 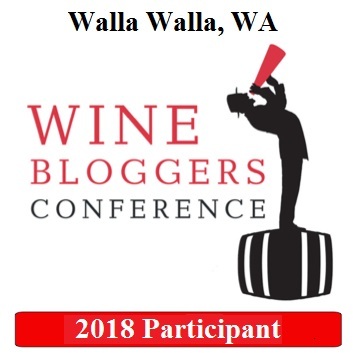 The next post will cover wines in the $20 – $50 range – there are lots of treats there, my mouth starts watering as soon as I start thinking about those. Pink. Red. Extreme. Commercialized beyond belief, still increasingly so year after year. Heart-shaped to the point of insanity. There are many things which turn people away from the Valentine’s Day, and I can understand that. However, I take this holiday as an extra opportunity to celebrate love and life. All you need to do is to find your way – ignore pink paraphernalia, ignore meaningless cards, ignore conveyer belt – style experience at the restaurants – and celebrate love and romance as a pure meaning of this holiday. Let’s agree that we will celebrate love and romance in our oenophile’s way, and let’s talk about wine – without wine on the table, celebration is … just another boring dinner, right? By the way, when I said “felt compelled” in the opening of this post, this was not entirely true. I also had a pleasure to be a guest at the Off the Vine Radio Show, talking with Benita and Latisha about … you guessed it – Valentine’s Day wines – thus as you can imagine, I gave some thought to the subject (and then yes, “felt compelled”). In case you have a bit of time, you can listen to that episode here. What can I tell you about wines for the Valentine’s Day? First of all, if you have a plan already, it doesn’t matter what I have to say. If you have some specific celebratory dish in mind, and have a pairing ready – it doesn’t matter what I have to say. But if you are still thinking how to make this holiday special, then let me share my thoughts with you. But remember – drink what you like. The wine for the Valentine’s day doesn’t have to be pink, and it doesn’t have to be sweet. It has to be something which will give you pleasure – as simple as that. The wine for the Valentine’s Day should have balance and it should have finesse. While thought provoking is good for the wine, on Valentine’s Day you should focus on romance and not on deciphering the complex flavors. Go after balance, finesse and simplicity. This is why I would never suggest, for instance, the natural wines of Frank Cornelissen or Jean-Pierre Robinot, or the dark magic of Randy Dunn with his Howell Mountain Cabernet Sauvignon – those wines will drain you emotionally, and it is a wrong angle for the Valentine’s day. Thus let’s talk about balance and finesse. First wine I want you to consider is Champagne. As the very least, it can be an Italian Sparkling wine from Franciacorta or Trento, or some of the California sparklers. Prosecco, Cava and many other sparklers are simply not consistent enough, so for the Valentine’s Day, go with classic – remember – balance and finesse. 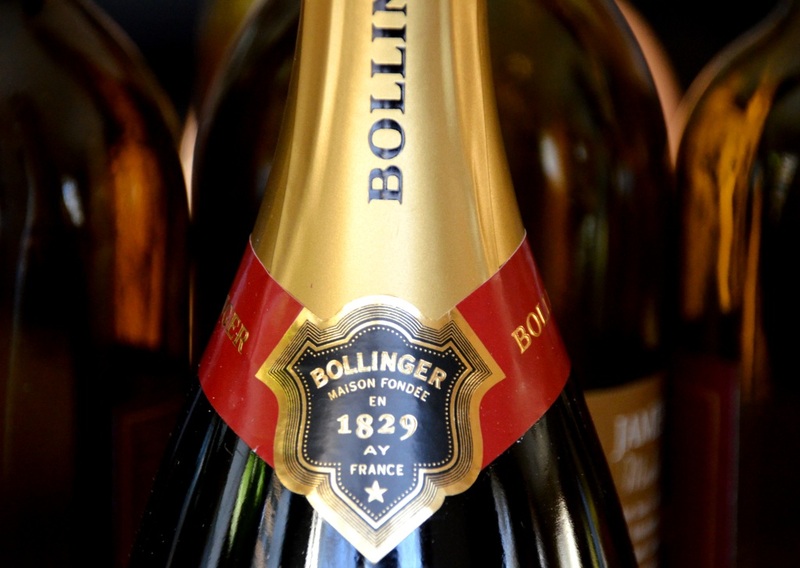 For the Champagne, my choice would be Bollinger, as I think it is one of the finest non-vintage Champagnes, with lots of finesse. Ferrari from Trento and Bellavista from Franciacorta in Italy would definitely my next choice. But – I don’t want to forget California – Roederer Estate L’Ermitage, Schramsberg Rosé, J Cuvée 20 or any of the Gloria Ferrer sparkling wines would live you with a happy smile. Moving on, let’s talk white wines. As we are looking for the balance and finesse, I have a few recommendations for you – and you might be surprised with these. For this holiday, I want you to step outside of your “usual circle”. My first recommendation is for the white wines of the Rhône valley in France. Yes, Rhône is mostly known for their reds, but the white wines there are equally stunning. For instance, try to find Domaine Saint Préfert Cuvée Speciale – I called this wine once “a symphony in the glass”. But in general, look for the Clairette or Grenache Blanc wines from Southern Rhône, or Marsanne/Roussanne from the North – those wines are often not easy to find, but they will deliver lots of balance, finesse and pleasure. Let me give you a few more suggestions – equally difficult to find, but worth looking for. Viognier from Washington is a white wine worthy of celebrating love and romance with. Look for Mark Ryan or Willis Hall – their Viognier is nothing short of stunning. To close on the whites, here are 3 more rare beauties. First, 2 Sauvignon Blanc from … Italy: Gaja Alteni di Brassica and Poggio alle Gazze dell’Ornellaia – stunning balance and finesse. And the last one – Ken Forrester The FMC. You can’t go wrong with either one of these wines – go, start looking, you don’t have lots of time. Now, we arrived at the red wine junction. Looking for the balance and finesse will dramatically reduce our choices. I would say, let’s go for Pinot Noir. I will limit my recommendations to this one grape only – and here is why. We are looking for the balance and finesse, right? Think about Cabernet Sauvignon from California – what would be the first word or words you would use to describe those wines – probably “big and powerful” – and this is not what I’m looking for suggesting the wines for the Valentine’s Day. Same goes for many Merlot, Syrah and Grenache wines – never mind the Petite Sirah. Even with my beloved Rioja – there are few wines, which will deliver that exact balance and finesse – La Rioja Alta Reserva Especiale would be definitely the one – and I highly recommend it. But for the Rioja – and then for Barolo, Brunello and even Super-Tuscan – as a general class, the probability of running into “big and powerful” is a lot higher than finding “balance and finesse”. Talking about Pinot Noir, I wish I would recommend some of the classics to you – yes, the Burgundy – but unfortunately, my exposure to the Burgundy is way too limited, so you will need to ask your trusted wine merchant for the advice. Next up – California and Oregon. For the most of the time, California Pinot Noir will deliver exactly that – balance and finesse. To give you a few names, go look for Siduri, Loring Wine Company, Calera, Drew, Copain, Laetitia – but there are many others and it is hard to go wrong with California Pinot Noir. Oregon would be also a perfect choice – look for Adelsheim, Chehalem, Antica Terra, Evening Land – finesse is a middle name for the Oregon Pinot, so you will not be disappointed. And last but not least – don’t forget the New Zealand! Pinot Noir from Central Otago, Marlborough and Martinborough are typically well balanced and round, perfectly fitting our quest for finesse. Look for the wines from Craggy Range, Mt. Difficulty and Amisfield among the others. Dessert time! People often underestimate how bad the dessert wines can be – one sip of the cloying, single-sugar-note wine would ruin the experience of an amazing dinner. You really have to put a lot of care in selecting the dessert wine which will have balance and finesse. 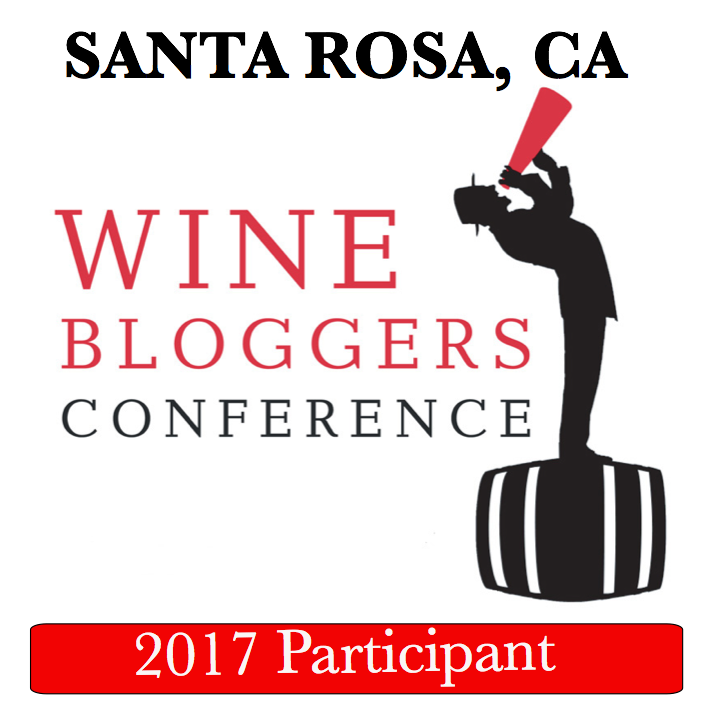 Of course I would like to recommend Sauternes and Barsac wines for you, but again, my personal experience is very limited. I’m sure you can’t go wrong with Château d’Yquem – if you can afford it, go for it! What would be a bit easier to find (and afford) is a Port. Not just any Port – balance and finesse, remember – so go for a nicely aged Tawny, 20-, 30- or 40-years old. As Port ages, it loses power, and becomes fragrant and sublime, guaranteed to deliver lots of pleasure. Look for Rozes, Graham, Quinta do Noval – lot’s of excellent choices. Then of course, the king of the dessert wines – Riesling. For the special experience, I would only recommend to go to the BA and TBA levels – you know, the stuff which always comes in the small bottles. You see, it is very hard to mass-produce BA or TBA level Rieslings – you can’t harvest enough grapes at those sugar levels – thus it is hard to go wrong with BA or TBA Riesling from any producer. And the last recommendation for today – an Icewine. Not any Icewine, but I want to recommend my personal favorite – Inniskillin Cabernet Franc Icewine. This wine is vibrant, perfectly balanced and has lots of finesse – I guarantee you will finish your Valentine’s Day dinner on a high note with this wine. Here you go, my friends – in the quest for the balance and finesse, these are some of my personal recommendations to enhance you Valentine’s Day experience. Let me know what do you think about my suggestions and feel free to provide your own. Happy Valentine’s Day and cheers! Once again I’m confessing my love for the “grape holidays” – knowing that the day has a special dedication to the specific grape variety makes selection of the wine to drink a much easier process. It also creates a feeling of the “special moment”, thus forcing you to open that-special-bottle-saved-for-the-special-occasion. Last grape holiday, the #GrenacheDay, prompted me to open a special bottle which was a lucky occasion, as the wine was about to turn over the hill. Two days ago we were celebrating Tempranillo, a noble grape of Spain. Tempranillo is the most planted red grape in Spain, with the best and most famous wines coming from Rioja, Ribera del Duero and Toro regions. But over the last decade, Tempranillo lost its status of Spain’s exclusive treasure – it spread all over the world, with Australia, Texas, Oregon, California, Washington and other regions producing world-class wines. Now, to select the bottle of wine for the proper celebration, one have to go to their own cellar or the local wine store – of course, with the exception of the lucky ones who live in a close proximity of the right winery. Unless you actually live in Texas, Oregon or Washington, your chances of finding those Tempranillo wines in the store are pretty much non existent. So for me, the choice was simple – Spain. I love Spanish wines, especially Rioja – and my cellar shows that. For the most of the day, my plan was to open the Rioja bottle in the evening – I was thinking about 2003 La Rioja Alta Vina Alberdi, which I had before and it was outstanding, despite a very difficult growing year. But then many of the twitter friends stated that they plan to open Ribera del Duero wines – and it got me thinking – do I have any options? Not a lot, but I do have a few bottles of Ribera del Duero, so actually, why not? There you have it, my friends – another successful grape holiday. How was your #TempranilloDay? Share your special moments, don’t be shy! By the way, in case you are wondering – the next grape holiday is coming! #ZinfandelDay is on November 19th – luckily, you still have a bit of time to prepare. Cheers!